With an adventurous trip to Bali drawing near, I knew I had to sort the summer footwear out, because I couldn’t wear hiking boots everywhere in 30-degree heat and flip flops just wouldn’t cut it. So, after eyeing up a pair of stylish looking sandals on the Teva stand at a trade show in Germany, I thought they would be a good answer to my flip flop problems. The first thing that attracted me to the Teva Midform Universal Sandals was the style. “They are lush!” I think I blurted out in my somewhat unfortunate Bristolian accent. How could a pair of ‘adventure sandals’ look so good? I assumed they’d all look like the horrific ones I’d seen my grandad wear (with socks, shudder) when on holiday with my family in the ’90s as a kid. Turns out, things have moved on a fair bit, well, in Teva’s case it has anyway. So, I decided to take a pair of the Midform Universal Sandals to Bali. Now let’s talk about comfort – because bear in mind, I took the Teva Midform Universal Sandals to Bali and put them on box fresh. Usually, this is a rookie error, but I’ll tell you what, the comfort I felt was fab. The soles are made using rubber and they feel really springy to walk in. This meant no achy feet at the end of the day, even with going a little more off-piste than we’d intended to on a big cliff walk. The Teva Midform Universal Sandals feature two Velcro fastenings on the straps, one at the ankle and the other at the toes. This helps you to achieve that perfect fit for your feet to ensure maximum support and comfort. Not only this, but the material used on the straps is so soft against the skin and is constructed using a water-ready polyester webbing. 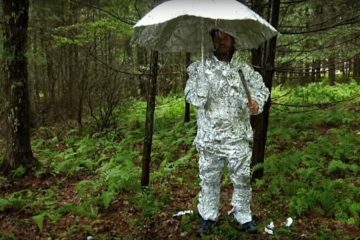 This makes the straps durable and quick-drying when they’ve got wet. 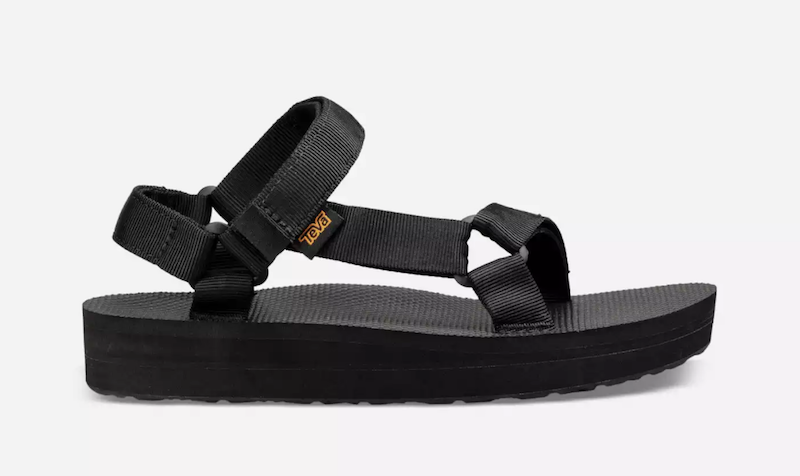 Another thing I loved about the style of the Teva Midform Universal Sandals, is the fact they have a slight one and a quarter inch platform, which sits nicely between the platform on the Original Universal and the Flatform Universal Sandals that the brand also has in the range. I went for the colour black, but they also have Chacha Black Olive (a kind of brown colour), Chacha Lagoon (light blue) and Chacha Tropical Peach (light pink). All in all, I got on really well with the Teva Midform Universal Sandals in Bali and have used them several times since being back in the country. Bali threw pretty much everything it could at the sandals, sand, sea, dust, rocks, rice paddies, forest, walking, scrambling (and even a moped accident) – you name it, the sandals survived it all and have managed to come away from it all looking pretty unscathed. They’ll definitely be coming along with me next summer. 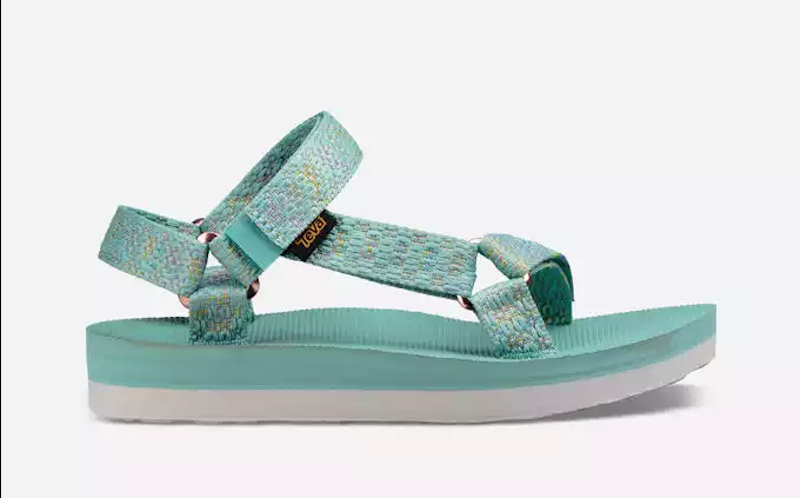 I’d recommend the Teva Midform Universal Sandals to any adventurous woman who still likes to look fashionable (and as little like her grandad as possible) on her travels. If you’re looking for casual, all-day comfort in a pair of sandals that can also keep up with the adventure, then you’ve found it here. Head over to the Teva website for more information on the Midform Universal Sandals and to browse the brand’s full range of footwear.